The PM-SUBmini is the small yet powerful subwoofer system which has been designed to fit perfectly with the best selling Fostex PM0.3/0.3d as well as the newly announced PM0.1 monitor speaker system in both the sound characteristics and the physical size. The PM-SUBmini can also be added to your existing compact speakers thanks to the through-terminal for satellite speakers and variable crossover frequency control between 60/150Hz. For ages I searched for a small Sub that would produce a near 39hz at low volumes accurately. I live in a flat and can only irritate the neighbors so much at 3am. 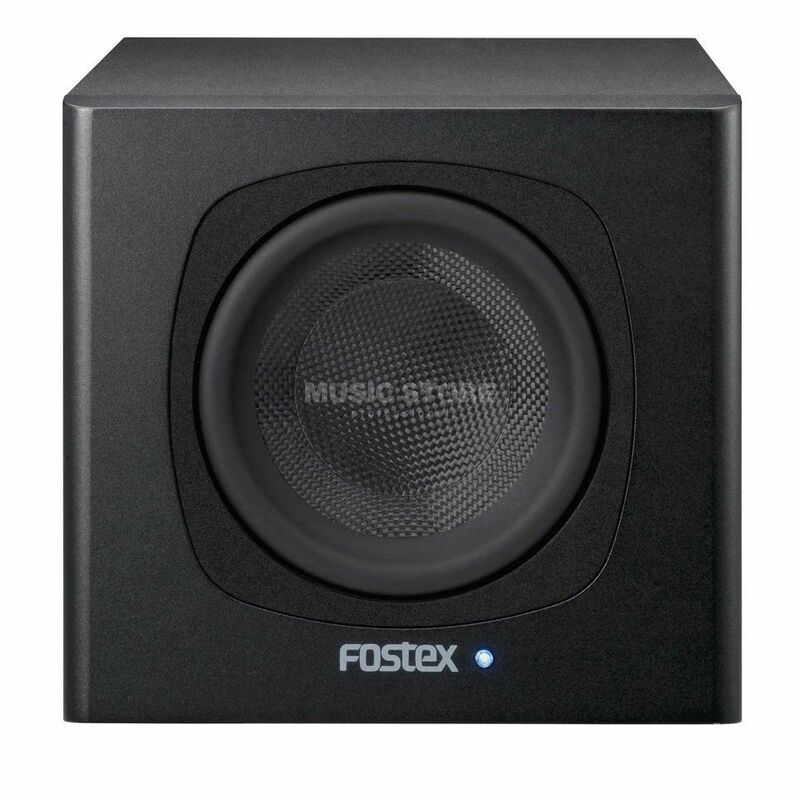 Given the price of this sub and the fact it is a Fostex product I was intrigued. Upon reading the specs I was over com with joy to find out it reached my exact requirements. I tried to order it from a local supplier who, after 2 months, was unsuccessful. So i ordered it through http://www.musicstore.de. This may have been the best decision I made the whole of last year. The product itself is unbelievable. The accuracy is sublime and varying the crossover allows what I term the difference between LFO for cinema and FOCUS bass like what is necessary for intelligent Drum and Bass production. It is minute and conversely INCREDIBLY powerful. BUT I WAS TOTALLY WRONG ABOUT THAT! It arrived promptly and for a price NO-ONE in South Africa could offer it to me for. I can only say I AM SO grateful.